Grand Central Life & Style, 9781538729885, 336pp. 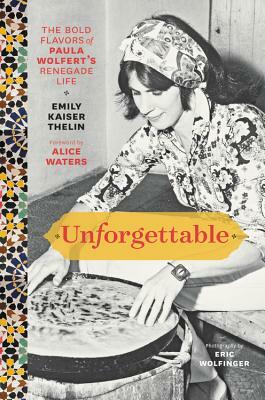 Anecdotes and adventuresome stories come from Paula's extensive personal archive, interviews with Paula herself, and dozens of interviews with food writers and chefs whom she influenced and influenced her-including Alice Waters,Thomas Keller, Diana Kennedy, André Daguin, and Jacques Pepin. Emily Kaiser Thelin is a writer, editor, and former restaurant cook. A IACP Award-winner, two-time James Beard Award finalist, and a former editor at Food & Wine, her work has also appeared in Oprah, Dwell, the New York Times, the Wall Street Journal, and the Washington Post. For five years during and after college Emily worked as a professional chef: as a prep cook in London, a private chef in France, and a line cook in Washington, DC.